AMI supported Sophie Schmidt and her Canadian teammates on their European tour, arranging baggage transports and customs clearance. 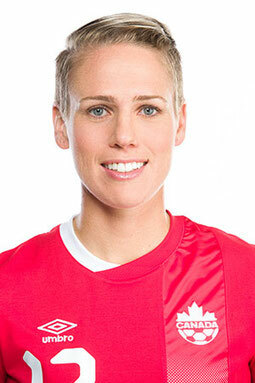 Better known as being a leading trade-only airfreight rate provider, AMI has gone a bit further when offering the Canadian Soccer’s Women’s National Team help on their tour of Europe. The company arranged customs clearance during the members 5 week tour, as well as coordination in Amsterdam of the arrival and collection of the team’s baggage and sports equipment. From Amsterdam, the equipment was then under AMI supervision sent onto Portugal where the Canadian team participated in the annual women Algarve Cup. From there it was back to Amsterdam and onto Malmo, Sweden where further games were played. At the end of the 5 week tour AMI arranged transport back to Vancouver. The Hong Kong-based supply chain specialist Tigers (HK) Ltd which originates back in 1969 when Taipei’s Wako Logistics and New York-based Kamino Logistics joined forces, with its recently launched eShop in China has taken over the Asia Pacific B2C distribution for Rapha Racing from its Hong Kong e.commerce fulfillment hub. The deal entails Tiger offering fulfillment services for Rapha Racing products along with Value Added services which include quality checks, labeling, product kitting and being Rapha’s return management centre for the region. Brussels Airport and the Belgian Customs authority want to streamline their respective processes to strengthen the airport’s hub function. 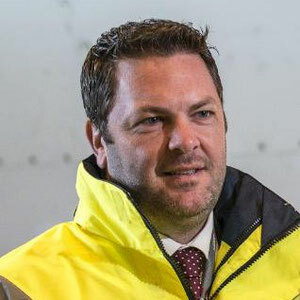 Chairman Steven Polmans of the um-brella organisation Air Cargo Belgium said that the aim is to make BRU stand out as an airport that has the fastest e-clearance formalities. “Apart from our BRUcloud a construc-tive and correct streamlining of the customs processes is imperative to make this work.” Through the MoU both parties haven committed themselves to regular and structured concertation. Part of the ambition is in the promotion of digitalisation, entirely paperless clearance processes and the further implementation of the Union Customs Code (UCC), the EU’s customs regulation. The Italian book distribution company, Mondadori, has awarded a new nine-year contract to CEVA Logistics in Italy. As of May 1 this year CEVA has taken over the complete logistics activities at Mondadori Books and Mondadori Retail. CEVA had previously also had a contract with Rizzoli Books which is a daughter company of the much larger Mondadori set-up. The deal also includes CEVA’s operation of Mondadori’s warehouse facility in Verona which is 24,000 sqm in size. Additionally CEVA will operate the smaller warehouse of 12,700 sqm in Rimini, whose 110 employees have now been taken over by CEVA. Kuala Lumpur-based MASkargo which is the air cargo arm of Malaysian Airlines, has started its own new express freighter service which is aimed at connecting the large commercial centres in Malaysia. The carrier will start with five flights per week between KUL, Kota Kinabalu and Kuching utilizing an Airbus A333 freighter. Apart from general cargo, MASKargo will concentrate on courier business as well as the expanding e-commerce market in the region. The agenda is full of various interesting subjects which it is hoped will entice many members of the air cargo community to attend the event. One is ‘Quality in the Air Cargo Supply Chain,’ - a subject which we have touched on in this week’s CargoForwarder Global. Another very interesting topic will be the discussions on Innovations and trends in Pharma Air Cargo. Let’s wait and see whether the industry will come up here with new ideas on how to ensure pharma transport by air and not by sea. The Elbe Flugzeugwerke (EFW) which is based in Dresden, Germany, and which is an MRO specialist company, continues to expand its Airbus A330 passenger to freighter (P2F) business. The order book at EFW has grown to such an extent that the EFW, which is an aircraft conversion joint venture with Singapore Technologies Aerospace and Airbus, needs to have some of its conversion backlog done in Singapore. The company recently ferried an A330-300 aircraft from Dresden to Singapore where it will be converted to a freighter for DHL Express. We reported some time ago that DHL Express is the launching client for the EFW A330-300P2F programme. Aeronaves TSM, the Mexican based freighter operator has given Aeronautical Engineers Inc (AEI) a contract to convert and deliver two MD-83 freighter aircraft. Both aircraft come from American airlines passenger stock. The carrier already operates five MD82 and MD83 freighters along with six rather elderly DC9-30 freighters. Atlas Air has done it again - the U.S.-based all cargo carrier has leased out another of its B747-400F aircraft. This time to China’s Yangtze River Airlines who have their main base in Shanghai. This is a wet lease agreement with Atlas Air operating the aircraft on Yangtze’s behalf on routes between China and the United States.